Do you have a Special Ceremony on the way that you may need a childrens entertainer to keep the kids entertained? Denzil the Magician offers childrens entertainer packages for all special ceremonies including christenings, communions, confirmations, weddings and much more. 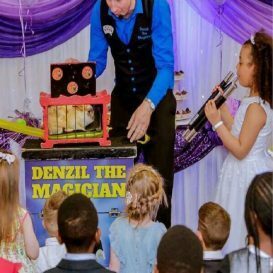 Denzil the Magician is a specialist childrens entertainer and his magical performance is great fun for all of the guests attending. These special ceremonies often only come around once in a persons life time so it is important to keep them extraordinary. Denzil along with Benny the live bunny rabbit can create remarkable memories that will not let your loved ones forget! 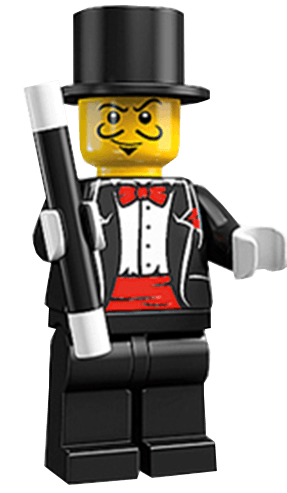 Not only is Denzil the Magician a childrens entertainer he is also an excellent adult and close up magician so if you are looking for something different at a wedding or any other special event Denzil has you covered. As a finalist of Norway’s Got Talent Denzil the Magician also known as Denis Stone is one of the most sought out adult and childrens entertainer. I know what you are thinking, this must mean I am the most expensive option? Well surprisingly not Denzil charges on par with the rest of the Irish market to ensure you get more ‘Bang for Your Buck’ and that is something Denzil the Magician stands by. Please note for dates between April and May (Communion Season) please book well in advance as time slots fill up quickly and often customers book up to one year in advance for Communions as it is peak season. If you have a Communion, Christening or any other special event coming up and you are looking for something special to entertain the children. Get in touch with Denzil the Magician today for the best childrens entertainer packages in the country.